Here you may download add-on levels for the Witchaven games. 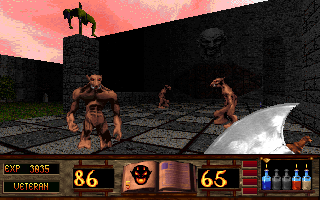 Ten-level addon for Witchaven II, by Lothar. The plot is that Grondoval returns to fight a new witch and her evil army. Now with a batch script courtesy of BME/ILMHB that can load and unload the maps so that you need no longer worry about manually replacing files. According to Lothar, an extended version is currently in the works.